Has your invite to Prince Harry and Meghan Markle’s royal wedding got lost in the post? You might have to do the same as the rest of us, and throw a royal wedding viewing party. But how to make sure your royal wedding party is almost as good as being there in person, and not a flop? Make sure you know when the important bits of the ceremony are taking place and structure your party around those. The ceremony is taking place at St George’s Chapel in the grounds of Windsor Castle. Guests will start arriving from 9.30 to 11am. At 11.20am members of the Royal family will arrive and enter via the Galilee Porch. 11.45am sees Prince Harry and his brother, the Duke of Cambridge, arrive at the Chapel’s West Steps. They will walk past thousands of spectators. It is here that Prince Harry will have the chance to acknowledge 200 representatives from charities he is involved with. At 11.55am the Queen will be the last member of the Royal family to arrive and be seated. At 11.59am Ms Markle will arrive at the Chapel’s West Steps with her bridesmaids and pageboys. Her car will take her and her mother past some of the spectators in the Long Walk before she enters the chapel. The ceremony will begin at 12pm. 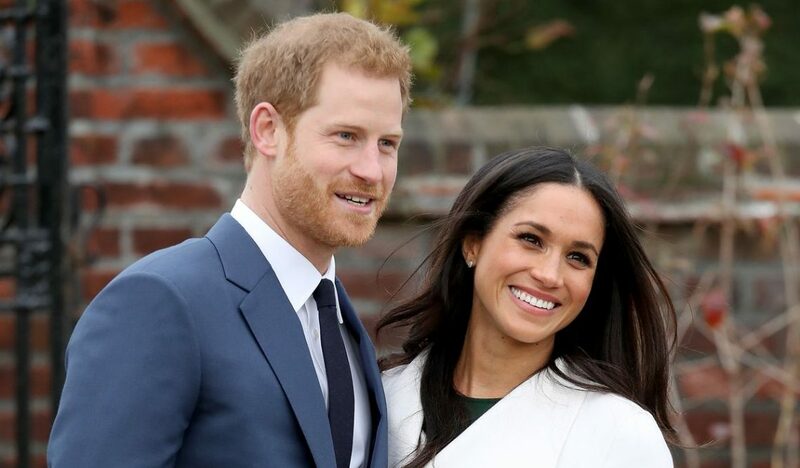 Prince Harry and Meghan Markle have decided not to have a sit down meal at their reception so why should you at your party? Instead they are opting for canapes and bowl food that can be eaten standing up whilst mixing and chatting. If you are hosting from 9 o’clock onwards, your guests are going to be ravenous by the time is gets to midday. You could tell them whether you are providing lunch or nibbles throughout the day, but make it clear what is going to be available and what is not. As for when to serve, it is best to keep the whole day as informal as possible and leave trays out for guests to help themselves. Or you can have a buffet where people can go back for seconds and top-ups as necessary. As a host, you want to make sure you have trays and plates of food in the fridge on standby to replace any empty ones during the day. It is also better to have pitchers of drinks so that all guests have to do it top up their own glasses. Or why not have cold boxes full of beer for them to help themselves. After all, you want to see the special moments too! Think small and refreshing items and use ingredients you would typically find at breakfast. This is probably the easiest part of the party, as literally anything red, white and blue is appropriate. You can buy union jack flags from cheap pound shops, ask your guests to wear either red, white or blue, and make drinks up in these colours using food colouring. We stock folding chairs in red white and blue so you can order some in each colour to really bring the theme together. You can also make a cake with the traditional union jack as the icing or you can opt for Harry and Meghan’s choice, which is lemon and elderflower. Remember that the whole point of the day is to celebrate the wedding of two lovely young people. So make it casual, fun and put in all the effort the night before, so that you can enjoy the moment as well.